$25, $50, $100 or any amount is appreciated! ​ Dryden Sertoma Club, Inc.
​Dryden Sertoma Club, Inc. operates as a non-profit organization exempt from income taxes under Section 501(c)(3) of the Internal Revenue Code . Financial donations to this organization are tax deductible. Thank you all so much for your support of the playground! It is completely paid for, and we raised a significant sum to give back to the village as a maintenance endowment fund. 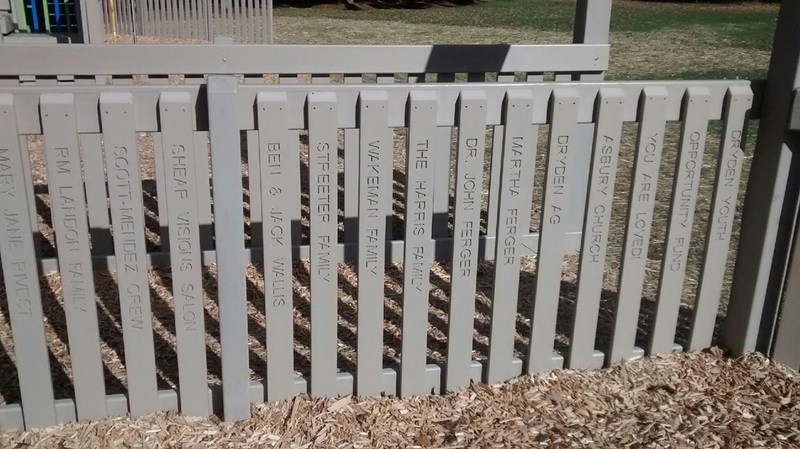 ​Thank you Roscoe Brothers for engraving the pickets as a donation to the playground! ​PURCHASE PLAYGROUND EQUIPMENT- ALL SOLD! 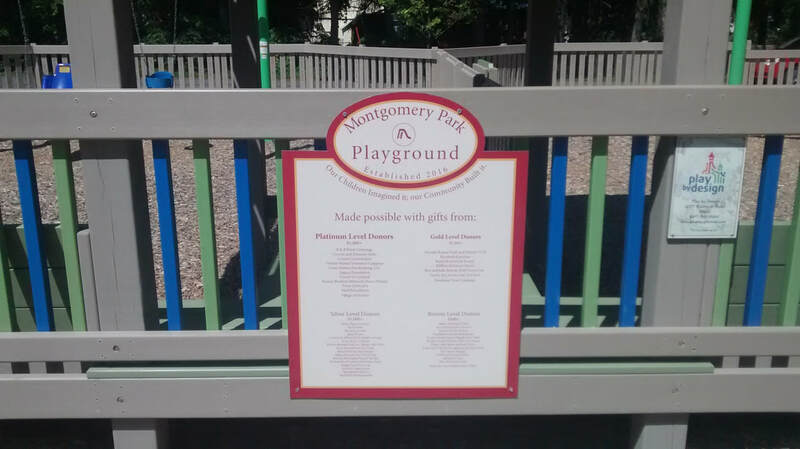 INDIVIDUALS AND BUSINESSES THAT GAVE AT THE TIERED DONOR LEVELS AND/OR PURCHASED PLAYGROUND COMPONENTS HAVE BEEN PERMANENTLY ACKNOWLEDGED AT THE PARK. Roy and Julie Reeves, RMS Gravel Inc. Final Picket Order - First Round!